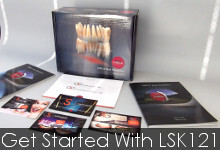 At LSK121 Oral Prosthetics, we offer a full range of denture services in-house. Immediate Dentures by LSK121 Oral Prosthetics are a full set of beautiful, life-like dentures that are inserted in patients' mouths the same day that their natural teeth are removed. 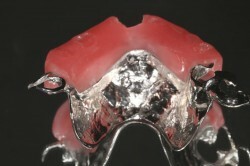 Metal partials are stronger, less bulky and offers a great fit. 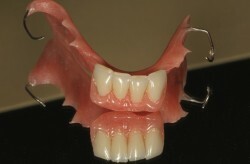 This partial has a metal framework to which our on-site laboratory will attach higher-quality denture teeth. 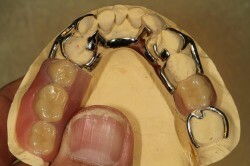 Since our special metal framework is made by an outside laboratory, availability of this partial is about two to three weeks. 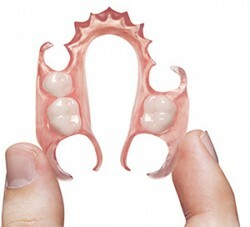 Acrylic partial dentures are more affordable, but they tend to feel more bulky. This partial has an acrylic base into which the denture teeth are set and is attached to your natural teeth with small metal clasps. The acrylic partial may be available with more durable, natural-looking teeth, right up to the Ultra partial. The practice staff can inform you of availability in each office. 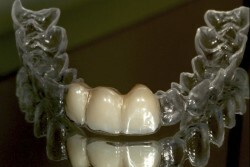 We offer both metal and metal-free partials crafted completely in-house with the highest quality materials. Our LSK121 flipper space retainer is created using a hard acrylic material. Indications include extractions or implant surgeries. Patients seeking esthetics after the loss of a tooth are especially glad to learn that they can chew with this device in place and not experience any embarrassment.